Description: A Louis Comfort Tiffany studio classic fishscale pattern reproduced in variegated glass of Honey dripped Emerald, Sapphire, and Garnet. 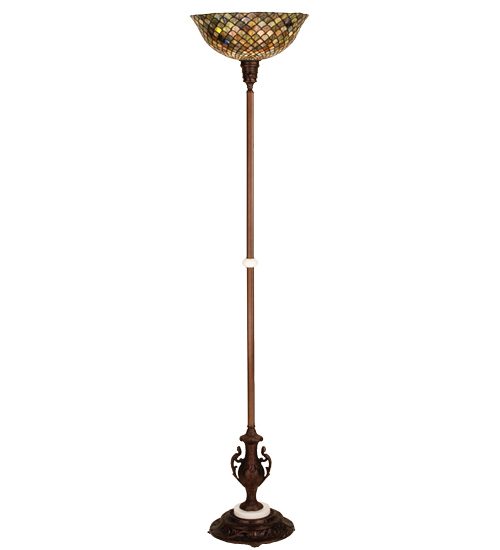 This handsome stained glass shade is used with a Mahogany Bronze hand finished lamp base. A versatile torchiere to complement any color or style.